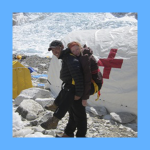 In 2008 Dr. Sam found himself carrying an intrepid Danish woman with a broken ankle on a rocky trail in Greenland. 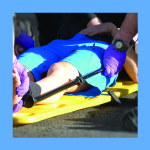 The fireman carry was out of the question, as were stretchers and wheelchairs. It led to a year of sewing and prototyping and a couple simple products. 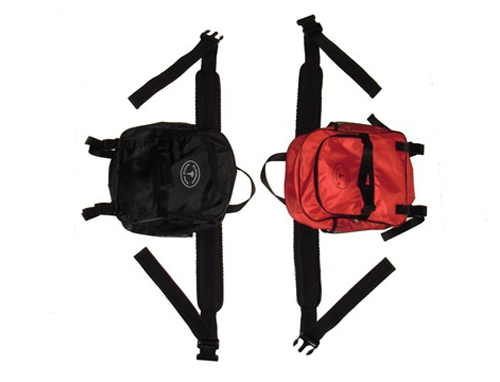 The Rescue Pack is a 6 liter, 950 gram, waist pack with internal straps designed to help one person to carry another. 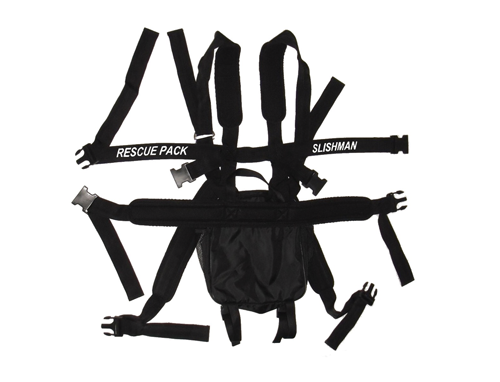 The pack does not make a rescuer stronger, nor a victim lighter. But the carry is far more comfortable for both. Dr. Sam sure could have used it in Greenland. I have a 12yr old with special needs. Getting up and down to the beach on vacation was becoming problematic. I bought this harness a week before we left. Customer service at Rescue Essentials were great. 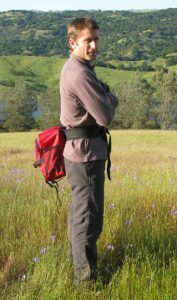 I got the harness in time, did a dry run at home and then used it every day at the beach. My daughter was so comfortable she’d actually snuggle in and take a nap. She is 83 lbs, I was an Infantryman 20 yrs ago and I am used to 90lb rucks. I would say that if you are OK bearing weight on your shoulders you will like this. 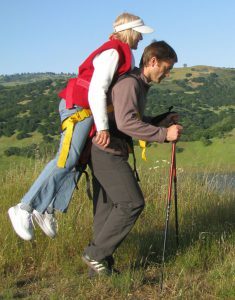 If you are a hiker I would think this would be a great rescue harness if you needed to get a non-ambulatory person out of trouble. This will be coming to the beach with us for years to come!